Can “name and shame” reduce worker injuries? A U.S. agency will soon start publicly naming companies whenever a worker gets seriously hurt on the job. Does it go too far? In the recent Charles Duhigg book The Power of Habit, a compelling example is given to explain why attention to workplace safety – and more specifically, a focus on reducing injuries and fatalities on the job – isn’t just something a company should treat as a compliance issues, it’s a business issue that can improve the bottom line. Duhigg uses the example of former Alcoa chief executive Paul O’Neill, who took a struggling U.S. aluminum manufacturer and turned it around by being obsessed with one operational indicator: workplace safety. Not only did O’Neill improve the company’s lost-day injury rate to 0.2 per 100 workers, down from 1.86, he created a culture of safety that has since seen the rate drop to 0.125. Workplace safety statistics are now published publicly on the company’s corporate website, in near real time. On O’Neill’s watch, the decline coincided with a quintupling of Alcoa’s net income and a 15-fold increase in revenue. An impressive accomplishment, one that got O’Neill handpicked by former U.S. president George W. Bush as America’s 72nd Secretary of the Treasury. And little did he know that, 13 years after leaving Alcoa, his work at the company would be referenced by the U.S. Occupational Safety and Health Administration (OSHA) to support new disclosure regulation – an expanded “name and shame” rule – that has proven highly unpopular with many American businesses. David Michaels, an assistant secretary with the U.S. Department of Labor, revealed the details at a press conference last November with a cheerleading O’Neill by his side. Under the proposed rule, employers with 250 or more employees would have to start electronically reporting to the OSHA all serious workplace injuries soon after they occur. That data – including company name, type of injury, and cause – would be posted online for anyone to see. “How will this make workplaces safer?” he asked. “Public posting of workplace injury and illness information will nudge employers to better identify and eliminate hazards.” The better public disclosure will allow businesses to compare themselves against their peers, while prospective employees will have a way to find out how companies in a sector rank on work safety, Michaels explained. Many industry watchers cringed, including Howard Mavity, an Atlanta-based labour lawyer with the law firm Fisher & Phillips. The OSHA forged ahead nonetheless. In September it formally announced the new rule, which will come into force on January 1. It requires large businesses, with some exceptions, to continue reporting job-related fatalities but within eight hours of happening. On top of that, worker amputations, eye losses, and hospitalizations from injuries must be reported within 24 hours. The reports will have to be called in or submitted via a web portal, but industries with low injury and illness rates are not subject to the rule. Michaels, in a statement, called hospitalizations and amputations “sentinel events” that reveal serious hazards in a workplace. “An intervention is warranted to protect the other workers at the establishment.” The idea is that by putting such public pressure on an employer it will be forced to raise its game. In Canada, detailed reporting to worker compensation boards is required. For more serious injuries and fatalities, each province’s ministry of labour must be notified. But data is only publicly released once it is aggregated. Only when a company is investigated and formally charged for a workplace incident are its name and details of the event publicly accessible. Norm Keith, a lawyer with Toronto-based Fasken Martineau who specializes in workplace health and safety, said there is definitely a need for better data collection and disclosure standards, allowing apples-to-apples comparisons across geographies and within sectors, but he has reservations about the name-and-shame approach. “I have many clients going to trial to defend not so much that they think they’re perfect, but because they can’t afford a conviction in a press release,” he said. A company’s competitors are more than happy to highlight that information when bidding for business in hopes of winning a contract. Authorities need to be careful in how far they go, Keith said. “Is there benefit from a deterrence perspective? Ultimately, there has to be some fairness and consistency in the way they do it.” For this reason, he added, naming and shaming should probably continue to be governed by the courts. Corporate Knights contacted the OSHA’s media relations department to request an interview. We were told to submit some questions in advance, which we did. Among them: How measurably effective has this approach been so far? Nearly three weeks after the original request, and after two follow-up queries that elicited no reply, the agency has been silent. Absent supporting research, workplace safety experts will be watching closely over the next couple of years to see if the U.S. name-and-shame rules do, in fact, lead to a reduction in workplace fatalities and injuries. 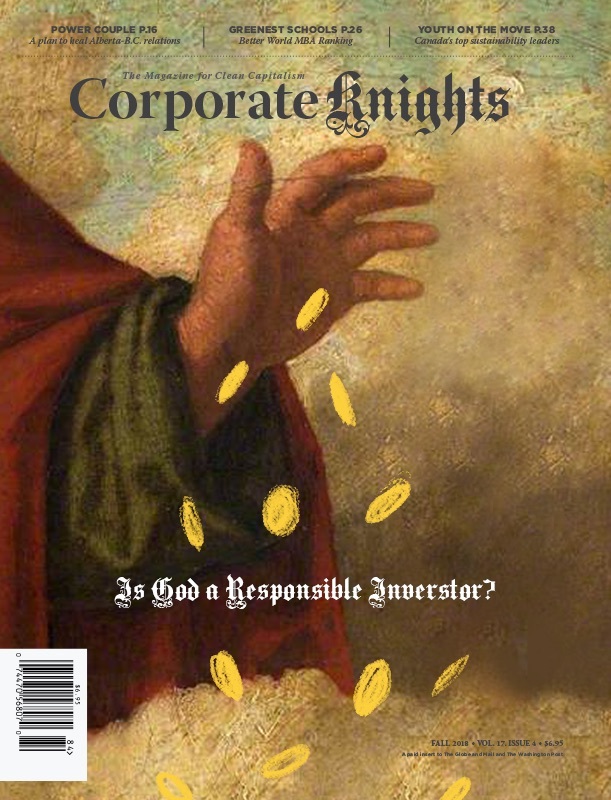 From Corporate Knights perspective, improving workplace safety disclosure standards, and requiring companies to self-report this high-level data in quarterly and annual reports, may be a more effective approach than government’s creating shame lists, especially when companies may not ultimately be charged with a workplace violation. Such an approach would set a baseline standard for all companies, and give industry leaders, such as Alcoa, a chance to demonstrate best practices and rise above their peers.